Your contacts, customers or other valuable information can be plotted on a map. 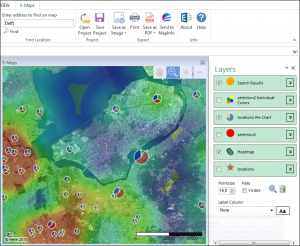 You can combine the information in seperate layers which makes the map even more valuable to you. And it should be yours only! 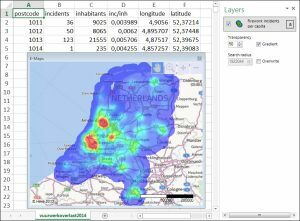 There are ‘low cost’ or ‘free’ plotting services available on the web. Many of them use Google ™ or Bing ™ background mapping and geocoding services. But these services very often store your information. Your valuable information even becomes their property according to their terms and conditions. These services can use your information and your relationship with other information for any purpose, like marketing and advertising. We feel that your information belongs to you! That is why we enable you to plot as often as you like, without storing the geocodes or the coordinates you used on our side. 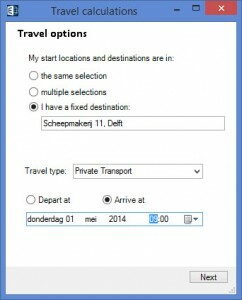 And if you do not wish to geocode every time you want to create a map, just use the project file. The geocoding and thematic shading is done automatically for you. 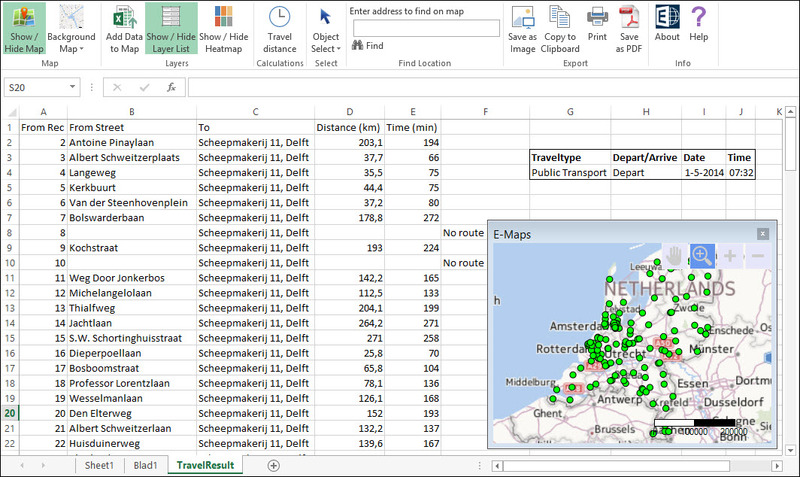 note: Geocoding and mapping in Excel E-Maps is based on Here ™. Here ™ does not relate data to you. That is why E-Maps uses Here services, the highest standard in routing, mapping and geocoding. 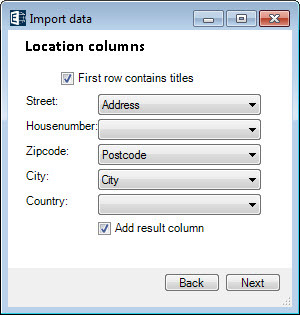 We added the funtionality to display the result of address matching (geocoding) as an extra column. This feature enables you to check the quality of your addresses and location of the points on your map. Preferably, a country code will be used in the data field: Country. See the list of ISO3 country codes. Addresses can be geocoded with Pitney Bowes Spectrum or Nokia Here.